When one thinks of Mr. Fred McFeely Rogers, it’s natural to assume that the first thing that comes to mind is Mister Rogers’ Neighborhood; the innovative children’s program that aired for over 33 years on PBS. But, there were actually two programs that preceded and would set the foundations for what Neighborhood would become. And one of them was on Saturday morning. 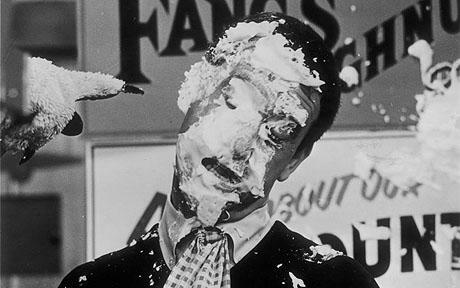 Pies to the face helped drive Mr. Rogers into television. Mr. Rogers had intended to enter the seminary after school, but on a trip home he was introduced to a new device: television. Mr. Rogers was both fascinated and dismayed by the concept; feeling that it could be a valuable tool in educating children but seeing that the current crop of children’s programming was more interested in pure slapstick. From that point on, Mr. Rogers decided to go into television and try to change it from within. When Mr. Rogers moved to Pittsburgh in 1953, mayor David L. Lawrence established public television station WQED in 1953. 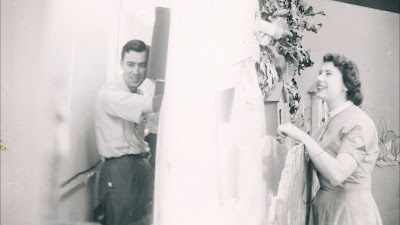 Mr. Rogers joined the station a month after he future collaborator, Josie Carey. Under the stewardship of station manager Dorothy Daniels, Mr. Rogers and Carey were part of a handful of people prepping the station for its launch the following year. Among the ideas they were allowed to pitch was a children’s program where they would entertain and educate kids and program some free short films. The program was greenlit with Carey hosting and Mr. Rogers producing, playing the music, and acquiring the films. 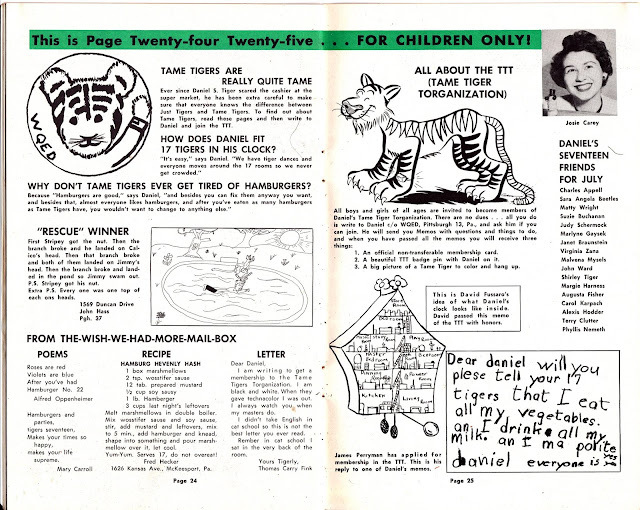 The night before the station went to air, Daniels gave Mr. Rogers a tiger sock puppet that he and Carey named Daniel Striped (pronounced “Stripe-ed”) Tiger after her. 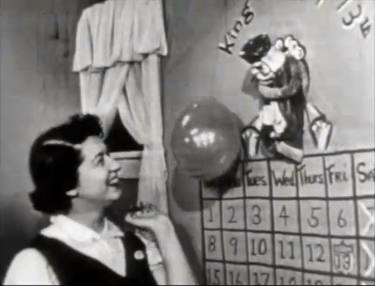 The Children’s Corner debuted on WQED on April 5, 1954. The program was a low-budgeted affair at $150 per week, with that whole amount going towards Mr. Rogers’ and Carey’s salaries, and only having a single yellow legal pad to work off of for the year. Anything else they needed came from their pockets. The studio layout wasn’t very well thought out, with an area for guests being on the other side of the building while the organ for the music was across the studio itself. Often, Mr. Rogers would have to run from his place behind the set to the organ and back again, which necessitated his wearing the sneakers he would become known for later on. Mr. Rogers often had on-screen roles as well, interacting or dancing with Carey as various characters. Daniel Tiger in his clock. It wasn’t intended for puppets to appear on the program at first. A clock was drawn onto the canvas backdrop of the set where a bird was intended to pop out of and deliver a random fact along with the time. Mr. Rogers and Carey decided to use Daniel for a one-time thing. He appeared on the first episode and became a hit with the audiences. 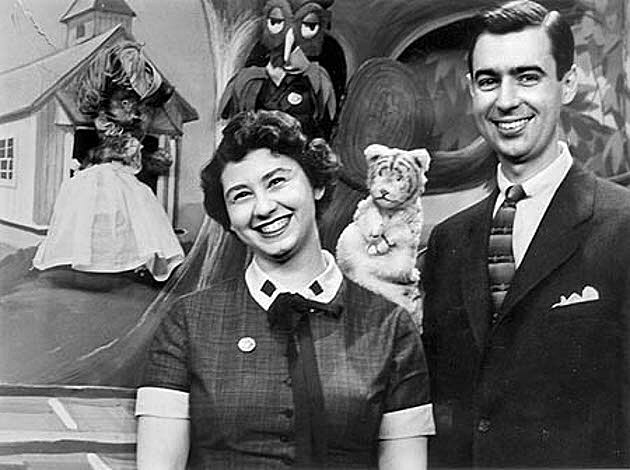 Puppetry and improvisation became a hallmark of the program, which was originally intended to be centered around Carey singing and introducing whatever films Mr. Rogers could acquire. But gradually, Daniel would appear more and have improvised conversations with Carey. She never knew what the puppets were going to do, and Mr. Rogers never knew what she was going to do. The entire program was unscripted beyond a general idea of where they intended an episode to go. Fred and Josie with Henrietta, X and Daniel. Gradually, more puppets were added to the program. The next came King Friday XIII, a play on the superstition everyone had about the date. A contest was held during his debut to figure out what kingdom he should be the king of, and a little boy won a chance to appear on the program after writing in that his name suggested he should be King of Calendar Land. Then came X the Owl, who was sent to the program to use by a puppet company, whose home was “grown” on the set by taping an acorn to the bottom and the art department drawing his tree in various stages over the course of a week; Lady Elaine Fairchilde, a unique, self-confident and eccentric woman; Henrietta Pussycat, who would constantly say “meow” as she talked, and the French Grandpere. Each one was infused with their own personality, which were by extension aspects of Mr. Rogers’ own. Josie and Fred entertain visitors with The Attic cast. Corner would frequently have guests scheduled, such as a member of the symphony or the caretaker of the local zoo, to talk about and the teach the audience about their jobs. They also had appearances by celebrities, including Johnny Carson before he became a household name, Shirley Jones, Van Cliburn and Peanuts creator Charles M. Schulz. Because the program was aired live, it was subject to a few mishaps during its run. Sometimes the guests would run short on their expected time or one of the films would break, which is when the puppets would come in to interact with Carey and fill in the remaining time. The rest of the time Carey would read books to the audience or sing, teach foreign languages and various other educational things. There were also recurring inanimate object characters and a poetry-speaking puppet mouse in a segment called “The Attic” that were voiced by Carey, Mr. Rogers, his wife, and other members of the crew. It was the only part of the program that was fully scripted, mostly by Carey. 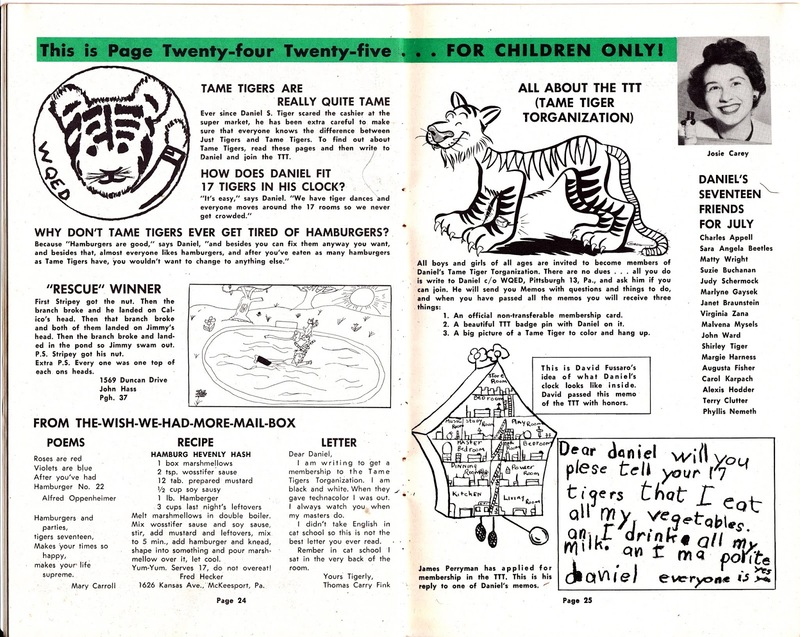 Part of the promotion for the program included the Tame Tiger Torganization; a mail-in club that children could join and earn stripes for doing various prescribed good deeds. On July 12th, Carey and Mr. Rogers decided to make that Daniel’s birthday and held a contest where kids could come to the studio and attend a party for him. However, to be eligible, they needed to earn their fourth stripe by memorizing the club song, “Je Suis un Tigre Apprivoisé” (meaning: “I Am a Tame Tiger”). It was then that Carey and Mr. Rogers learned just how popular their program was, as a long line of children and their parents were outside the studio the day of the party. Corner was one of the most-watched and best-loved programs at WQED at the time, enjoyed by children and adults both. Celebrating King Friday's birthday every Friday the 13th. In 1955, NBC executive Doris Ann came to Pittsburgh to preview a program Dr. Benjamin Spock was doing on WQED to see if it could be brought to the network. While there, she caught Corner, fell in love with the program, and presented it to the network. They contacted Carey and Mr. Rogers about bringing the program to New York to air on the network (which is where Mr. Rogers worked before coming to Pittsburgh). The only hitch was they had to be ready to air in four weeks to cover Paul Winchell’s vacation from The Paul Winchell program. NBC built them a new set and larger versions of their puppets. They had to change some of their routines as they couldn’t read books on the air without clearance, they couldn’t have guests come on, and certain songs were forbidden because they felt they sounded too much like other songs. They also had to hire additional crew due to union rules; which included a dresser for Henrietta, two additional musicians, and five stage hands. However, because of the nature of the program, none of them had any actual work to do. The Children's Corner set grows and becomes more elaborate. 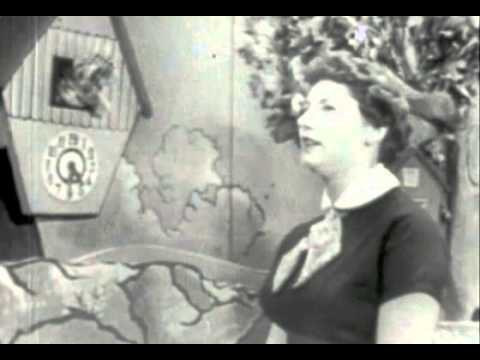 Corner debuted on NBC Saturday mornings on August 20, 1955. It ran for four weeks, the duration of Winchell’s vacation, and received a tremendous audience response. That prompted NBC to find a permanent place for them and brought the program back that December. Carey and Mr. Rogers determined they needed to remain at WQED because their program was the one making the station the most money, and their leaving for any period of time would be detrimental. 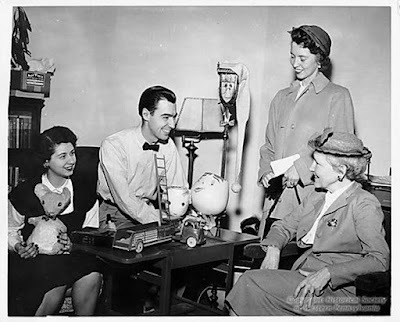 They would commute from Pittsburgh on Friday for a production meeting, do the program on Saturday and then return later that day after filming so that Mr. Rogers could attend Sunday services at his church. 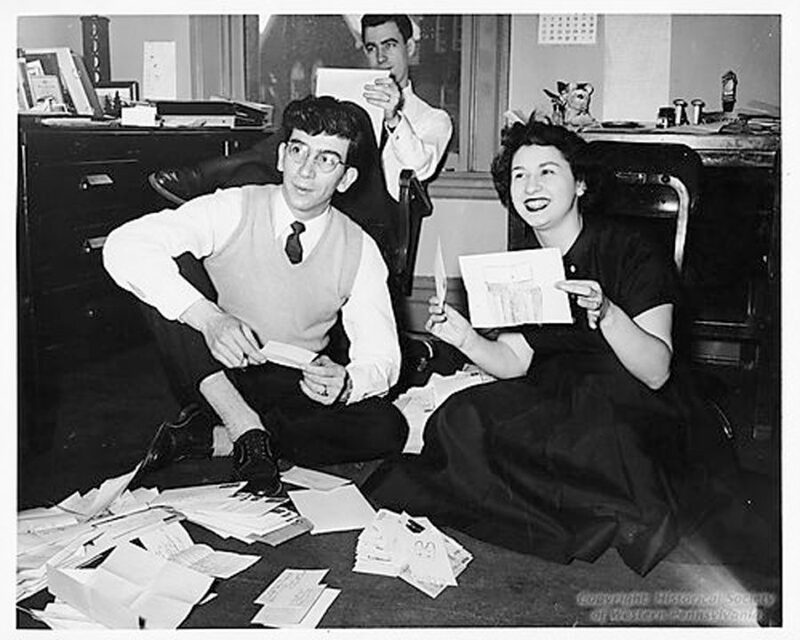 Josie and Fred open fan mail with Henry Massucci. Despite the program’s continued success on the network, an internal conflict arose between the Public Service Department, which they were part of, and the Children’s Department. Both wanted to claim the program and neither wanted to give it up, which prevented them from getting sponsors for the program. NBC cancelled the program after 39 weeks on April 28, 1956. Unfortunately, Carey and Mr. Rogers didn’t get to enjoy their brief network success for long as the company who sent them X to use on the program decided to sue them for a payday, claiming they stole their puppet. They ultimately settled out of court. The Neighborhood of Make Believe, home to Mr. Rogers' puppet friends. Corner ran for 8 years, coming to a conclusion in 1961. Carey at this time had numerous commercial commitments which often led her to be late to the start of filming the Corner. She hosted Josie’s Storyland and Funsville for KDKA before heading to South Carolina to star in Wheee! Mr. Rogers was approached by the Canadian Broadcasting Corporation to develop a 15-minute children’s program that would feature Mr. Rogers on screen. He moved to Toronto with his friend Ernie Coombs as his puppeteer assistant. Coombs had previously worked on Corner in the art department and often covered for Carey when she was late for filming. Misterogers ran from 1963-66 and introduced many of the set pieces Mr. Rogers would use on his later program, as well as featured several appearances by Carey. 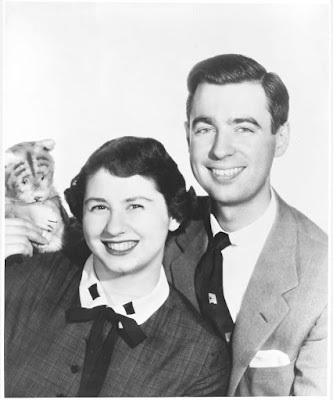 Wanting to raise his children in the United States, Mr. Rogers bought the rights to Misterogers and returned to WQED to make Neighborhood, which ran from 1968-2001. Coombs stayed in Canada to star in the replacement show, Butternut Square, and later Mr. Dressup. 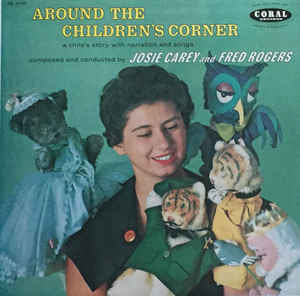 Josie with her puppet friends on an album cover. In 1954, Reed and Witting Company published Our Small World, which was written by Carey and Mr. Rogers and illustrated by Norb Nathanson containing autobiographical compositions “written” by the puppets. A number of sheet music from the songs featured on the program were published between 1955-60 by Tee Kaye Music Corporation, Small World Enterprises and Vernon Music Corporation, including “Goodnight God”, “Around the Children’s Corner”, and “Tomorrow on the Children’s Corner.” Small World, along with Hanover-Signature Record Corporation and Coral Records, also published records featuring music from the program: Around the Children’s Corner, I Know It’s Time for Christmas/Chicken Little and Tomorrow on the Children’s Corner. 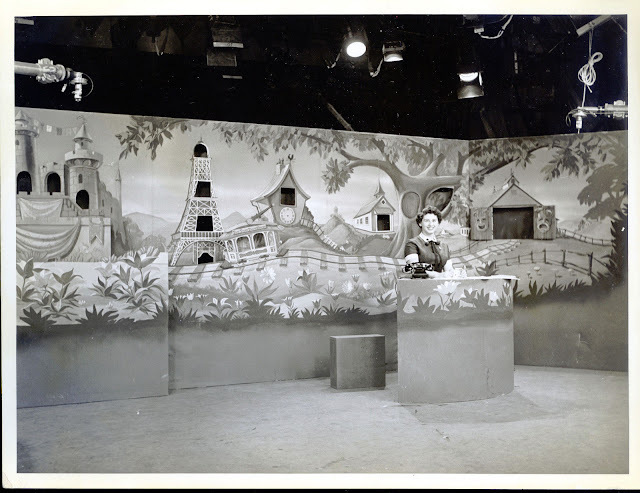 In 1955 the program won a coveted Sylvania Award for best local children’s show. Although the quality of The Children’s Corner was undeniable, it still skewed a bit sillier than Mr. Rogers was happy with. It wasn’t until he was able to produce and do Neighborhood that his pure vision for television came to light. For over three decades, he spoke to children about issues other children’s shows shied away from and did it without any of the chaos and spectacle his contemporaries employed. Following his death in 2003, his production company, Family Communications, Inc., renamed themselves Fred Rogers Productions and began producing new family-oriented program. 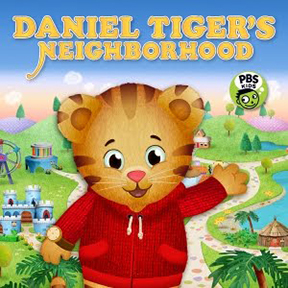 Amongst them is the animated Daniel Tiger’s Neighborhood, which features the puppet characters and their children in the Neighborhood of Make Believe.